Smartfish has made a name for itself by designing computer input devices designed to have actual ergonomic benefits—rather than designs that address one or two of the multiple ergonomic shortcomings inherent in many devices. Now the company is getting ready to ship its Whirl Mini Laser Mouse, bringing its ErgoMotion pivot system to notebook users for a feeling that the mouse is “floating on air” rather than being dragged across a surface (or dropped on the floor). The Whirl Mini Laser Mouse’s ErgoMotion pivot system works for both left-handed and right-handed users, and adapts to users’ own natural hand motions rather than forcing users to hold their wrists in a particular fixed position. The Whirl pivots naturally as users moves, leaning and pivoting and swiveling, changing its angle to match a user’s write and hand, finding a “dynamic neutral position” no matter how users hold it. 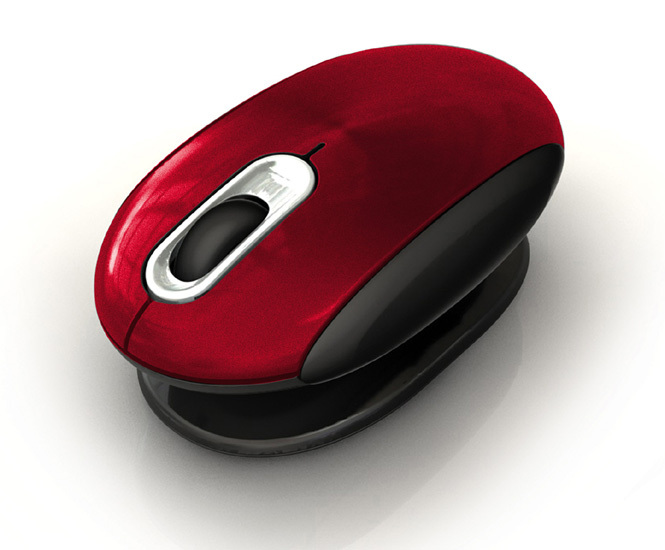 The mouse also features up to 1,600 dpi laster sensitivity and 2.4 GHz wireless connectivity. It works with Windows XP or newer, or Mac OS X 10.2.8 or newer. The Whirl Mini Laser Mouse ships on December 1 for a suggested price of $49.95, and s available in six colors (red, blue, white, silver, black, and carbon fiber).